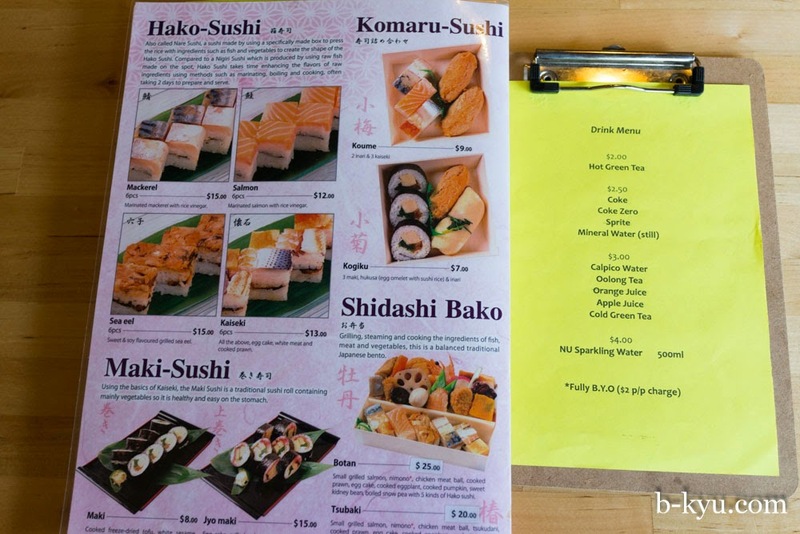 Komaru Osaka Style Sushi in Neutral Bay is an instant favourite, essential eating for all fellow Japan-o-philes. This little space on Military Road makes us feel like we're in Japan like no other place in Sydney, except for the cheery pub atmosphere of Daruma in Chinatown. 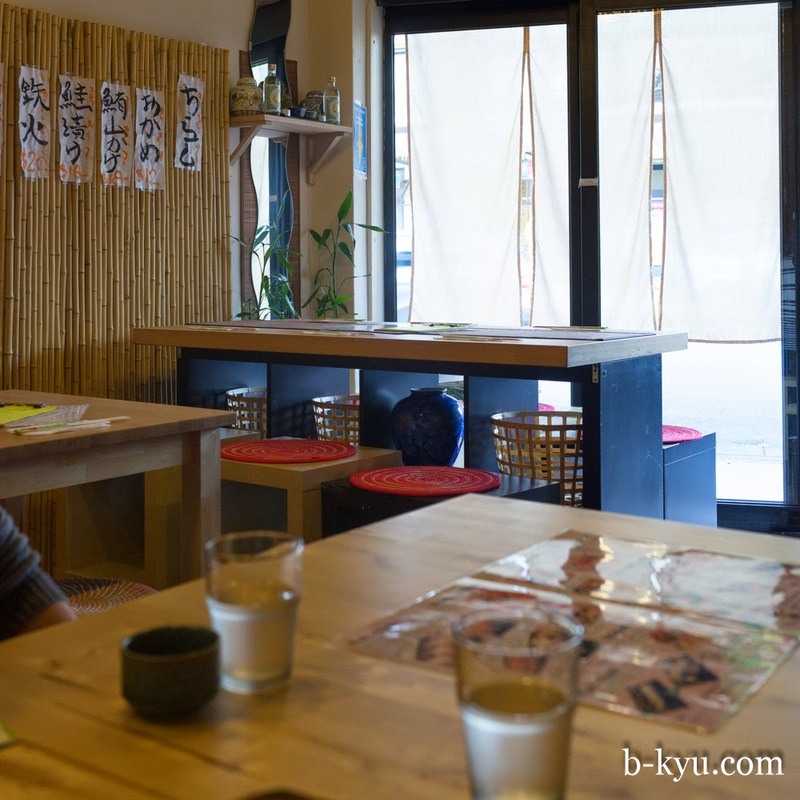 Komaru is tiny with just a few tables and that oh-so-welcoming Japanese service. 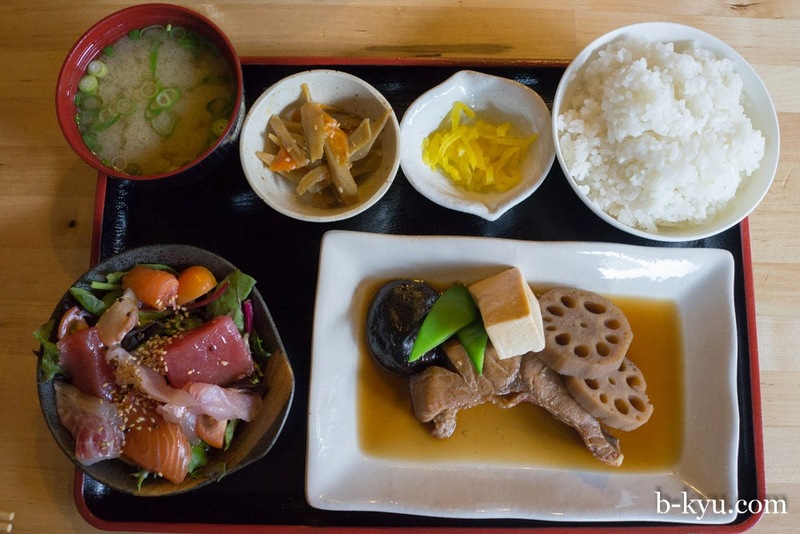 The food is honest and sometimes homely fare, done exceptionally well, and the menu is refreshingly different to the hundreds of cookie-cutter faux Japanese joints in town. That's the way we like it, so too the many Japanese regulars. 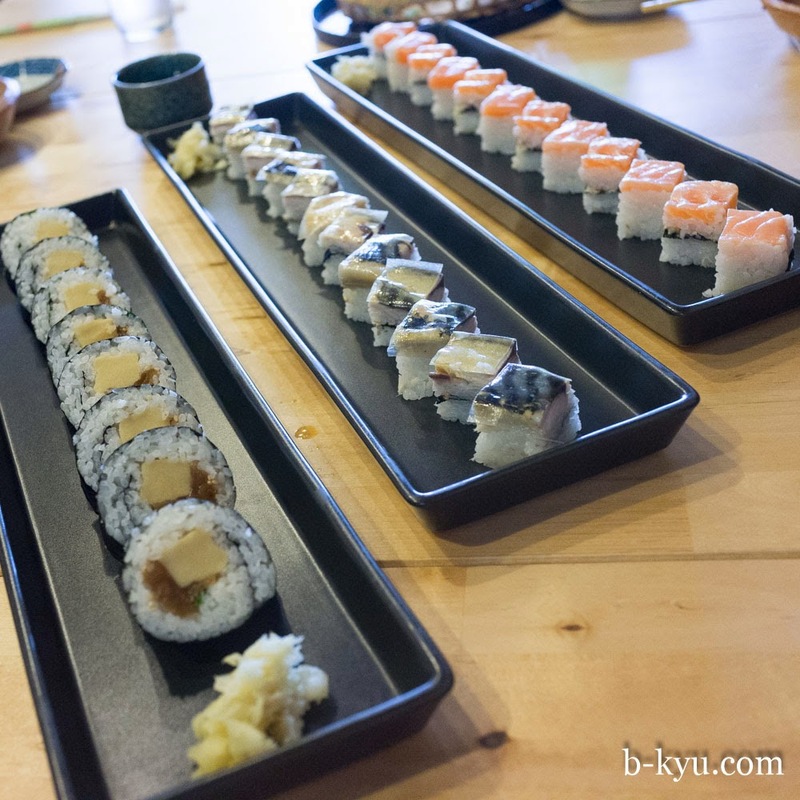 Komaru, it's one of the most truly Japanese experiences in Sydney. We stumbled upon Komaru's predecessor, Sushi Nagashima, a few years ago while sniffing around for goodies in the Hunter Connection Food Court (most of our food finding is done by foot and nose). All it took was one quick glance at the guy behind the counter for us to know we'd found seriously good food. It wasn't his face nor his clothes. It was his posture. He was simply standing there having a quick stop'n'think and he had that proud, formal, upright gait that we see on folks in Japan who are seriously proud of their work. It's a look that usually precedes a good meal. 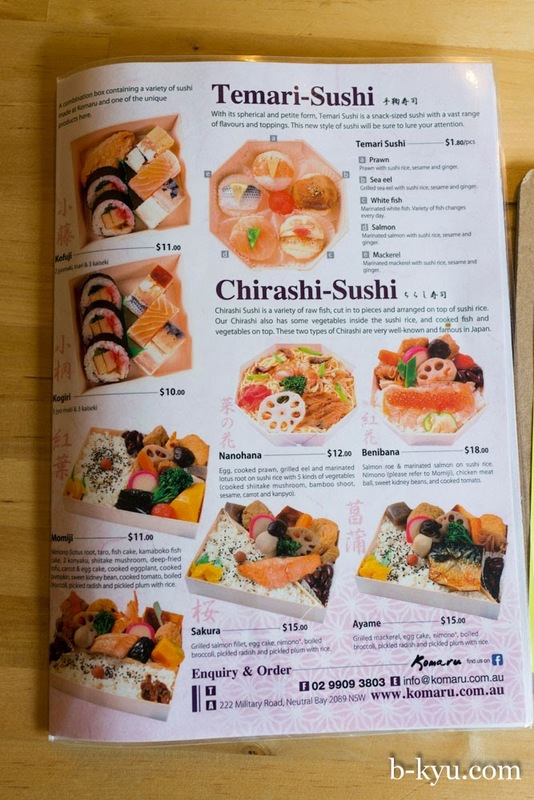 Sushi Nagashima was one of the rare places in Sydney popular with Japanese expats. It was one our very favourite places in Sydney and we were genuinely devastated when it closed, it was such a gem. We weren't alone, Sushi Nagashima had a small cult following of fellow Japan-o-philes. One of our equally upset readers said of the closure: "...absolutely gutted. i wandered around like a kid who'd lost its parents." Recently one of our readers (thanks tim_g!) 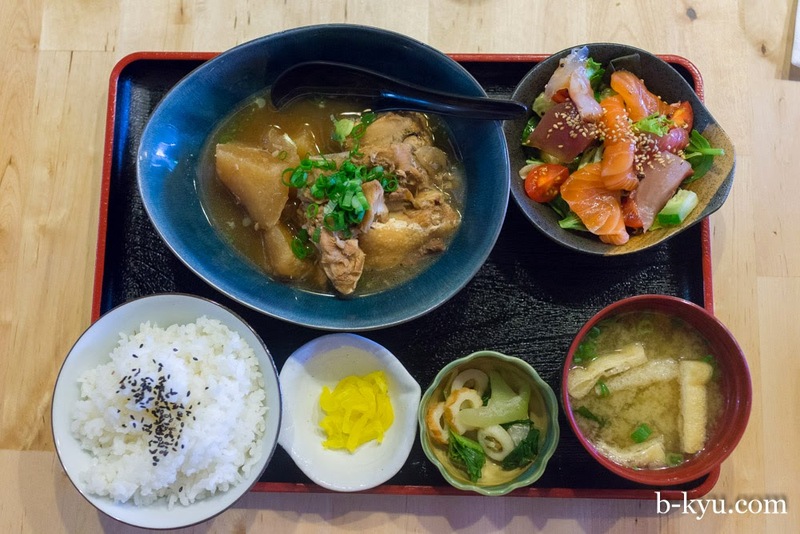 tells us Hiroyuki Nagashima has opened a new shop, Komaru in Neutral Bay. Rejoice. Lunch special - $15. Cooked wings & meats of rockfish, sweet & soy sauce. 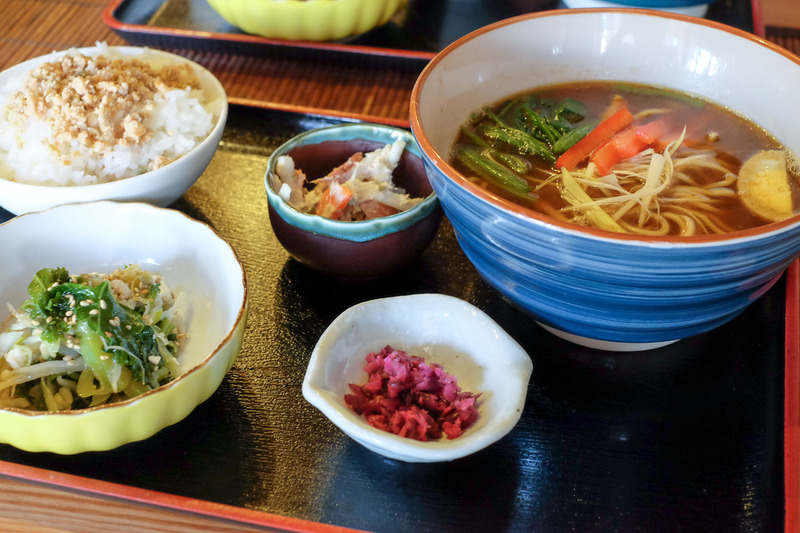 This lunch is worth it for the extras alone, you could just eat the rice, sashimi salad and pickles and be satisfied but oh no, there's delicately cooked rockfish wing and vegetables to enjoy as well. Lunch special - $15. 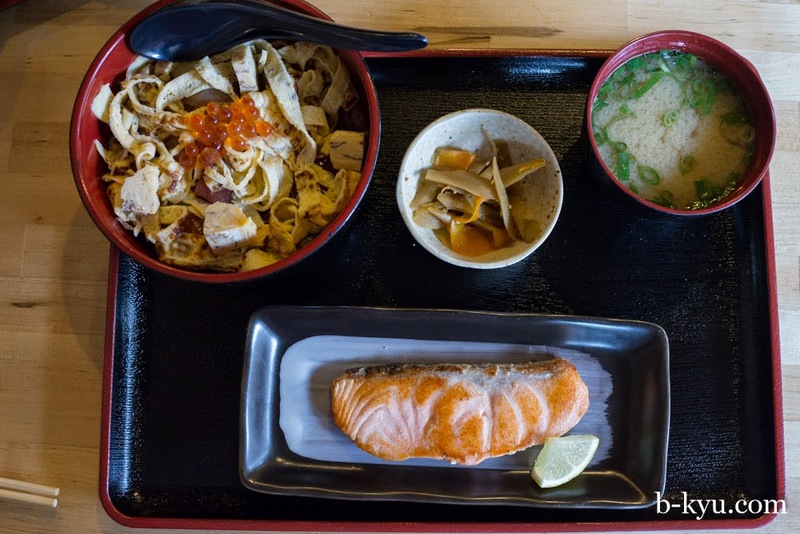 From the choose-your-own-adventure sets we get the Komaru chirashi sushi bowl and grilled salmon. 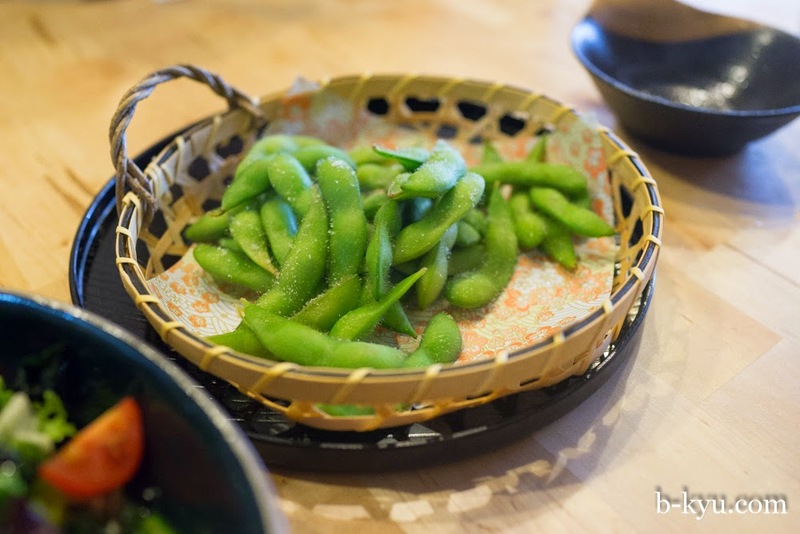 Edamame - a must. Not on the lunch menu, just ask if you need your fresh soybean hit. 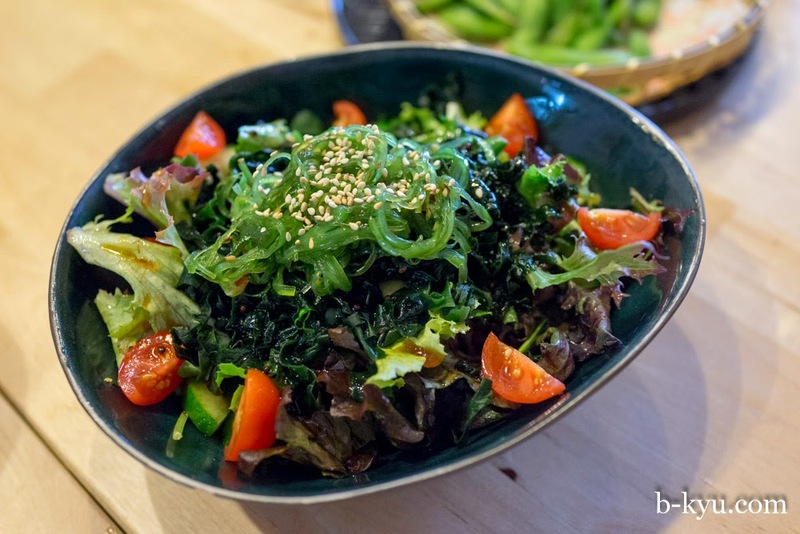 Likewise the seaweed salad isn't on the lunch menu but available on request, the dressing is sensational. One serve each of sushi - maki ($8.00), mackerel ($15) and salmon ($12). 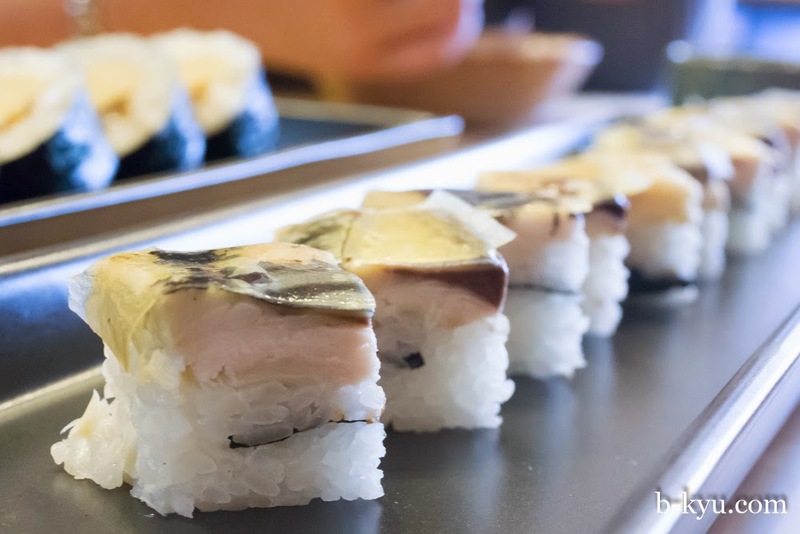 The Hako sushi is layered and compressed into purdy square shapes. Each bite is the perfect size and has a little of everything inside. 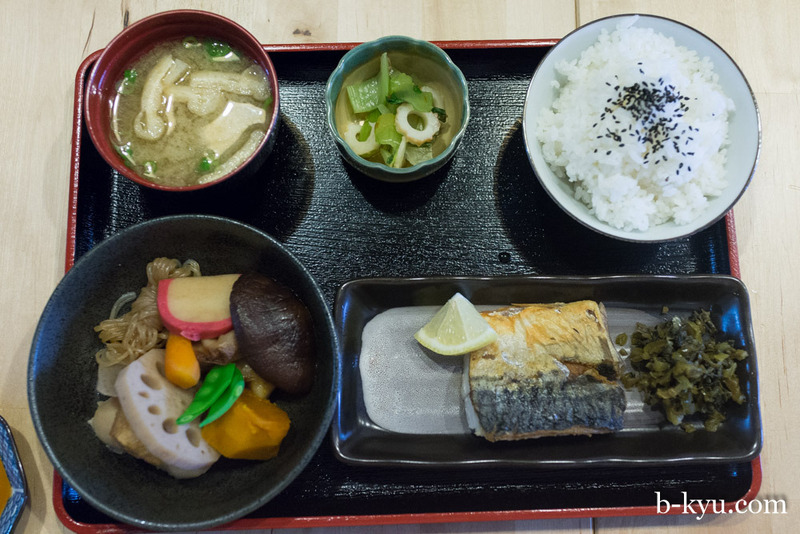 The mackerel had a stronger vinegar flavour to the rice, while the salmon on the top of the other selection was soft and nicely fatty. 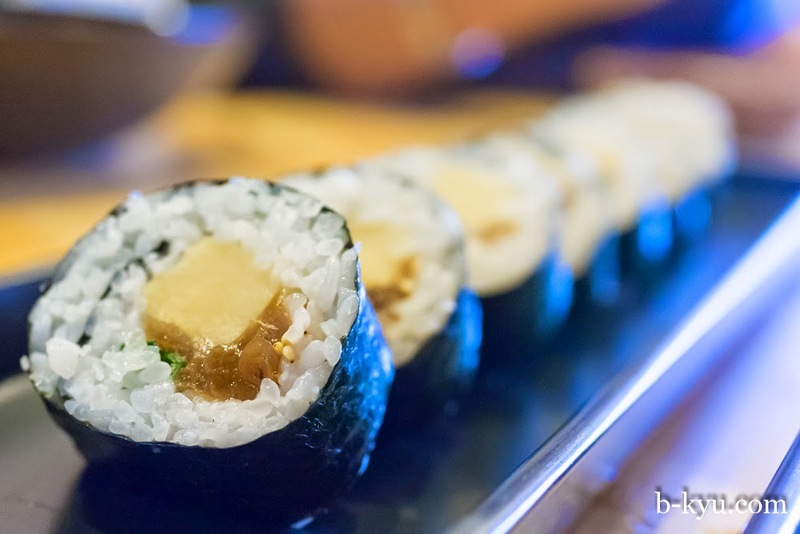 The biggest groans of delight come from the maki sushi, specifically the freeze-dried tofu in the centre, which has a unique, meaty texture. The sweet pickle adds another level of flavour to the bite. Fish wings from the lunch specials ($15), hunks of fish and radish in a light sweet broth. The broths we've tried an Komaru have this wonderful delicate touch to them, a lovely balance of sweet and salty that instantly transports our braincells to Japan. There's nothing better than simple food done well. 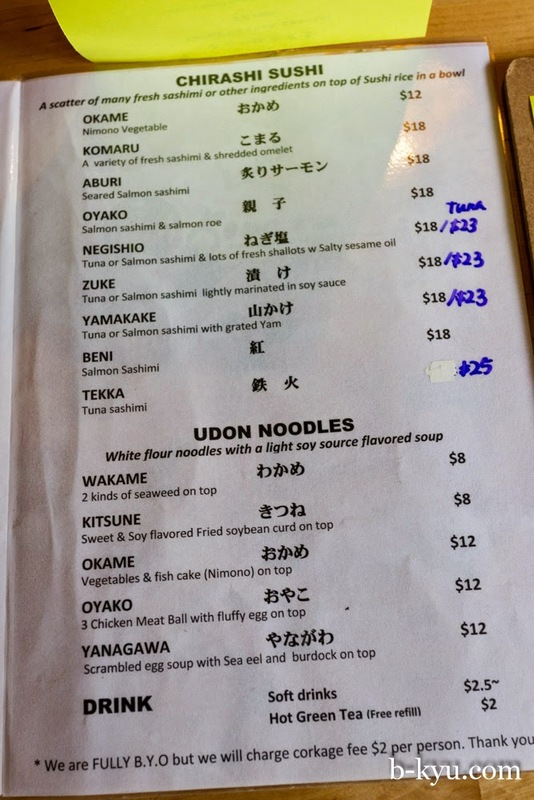 Kitsune udon - $8. Noodles cooked spot-on topped with sweet tofu sheets. 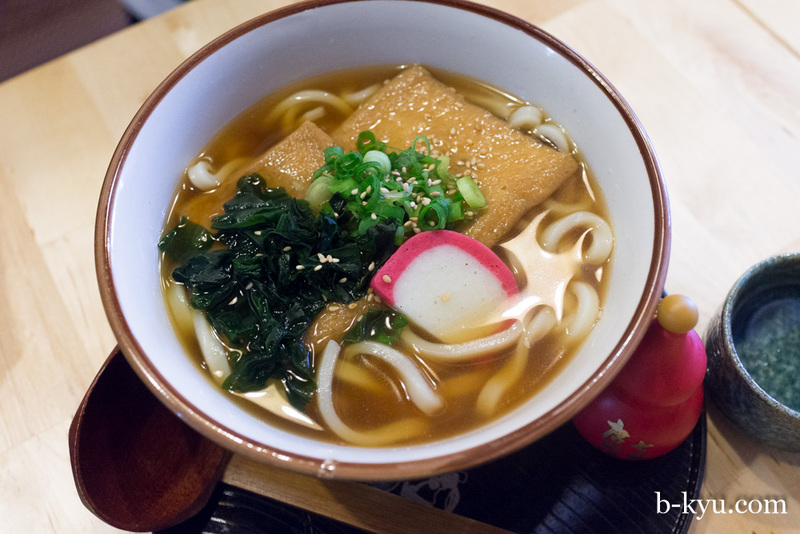 We love how kitsune, Japanese for fox, is used here to describe the colour of the brown tofu against the white noodles. Well that's our fanciful take on it. Ayame - $15. Grilled mackerel fillet with veggies, rice and soup. Layered in the veg bowl is a mix of lotus root, shitake mushroom (one bite and the broth it has soaked in squirts out), pumpkin, snow pea, small balls of mashed potato, bamboo shoot and a sailors knot of noodles. Okinawa set - $15. After several visits we've both come to love ordering the daily special. 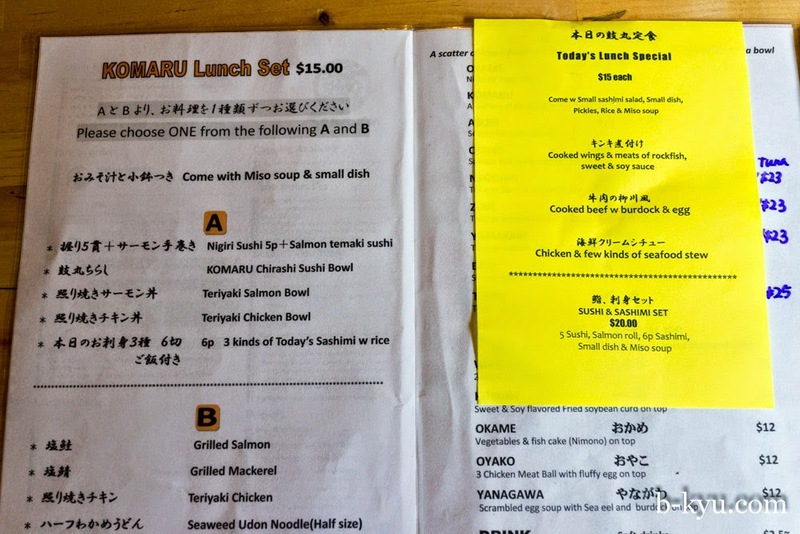 The sushi etc is great but lunch special always has a lovely home made touch. Todays special is a veggie stir fry and soup. Simple yet so good. So excited to hear about this place! I always lamented the fact I missed out dining at the hunter connection joint. This is even better. Though I love a great food court joint! Looks so amazing! I was just about to say it looks so much like Sushi Nagashima! Can't wait to try it out. Thanks so much guys – another choice find. I feel like I've just been to Japan after salivating at this!